Welcome to the inaugural Frothy Five presented by Beer in Boulder! Boulder County is home to over 40 craft breweries that put on over 60 events each week, from beer festivals to live music to new beer releases and tappings to game nights and much more. Here are Beer in Boulder’s picks for the five most unique, exciting, and quintessentially Boulder craft brewery happenings in Boulder County this coming week. Were you lucky enough to snag tickets to this innovative and renowned Avery Brewing Company event? If so, you’re one lucky craft-beer-loving dog, and you are sure to have a funky, tangy, delicious time this Saturday! To put it (very) simply, sour beer is made by intentionally allowing wild yeast strains or bacteria into beer as it’s brewing. While the brewing process for most beer is extremely controlled, the brewing of a sour beer can be very unpredictable. Since 2003, Avery has been experimenting with sour beers and wild ales. In 2009 they began their official Barrel-aged Series of beers and, since then, the popularity of sour beers has grown both within and outside of Boulder. With the Boulder SourFest, Avery will be offering bottomless tasters of sour beers from across the country, celebrating these creative, boundary-pushing brews that are sure to make your mouth pucker! With their third annual Sanitas Fest this weekend, Sanitas Brewing Company promises to throw the amplified craft beer backyard party of your dreams. A place where you can enjoy all the great things about Boulder craft breweries and a quintessential Boulder summer day, from the outdoors to great food to local live music and delicious brews, Sanitas is bringing in a host of local musical talent, including The Hop Pickers, Musketeer Gripweed, and The Drunken Hearts, as well as additional food trucks to supplement the ever-delicious McDevitt Taco Supply that you can regularly find on their patio. If you want to get the party started early and earn all the beer you know you’re about to enjoy, check out the pre-festival activities including the La Sportiva 5k Fun Run at 12:30 PM and Brewhouse Yoga with Jenna Bee at 2:00 PM. 300 Suns Brewing Company in Longmont is named for the 300 days of sunshine that we are lucky to enjoy as Coloradoans every year. How appropriate, then, would it be to celebrate the summer solstice, the longest day of the year, with 300 Suns’s Summer Solstice Paint & Sip event! A brewery with passionate owners and delicious craft brews, 300 Suns is a wonderful location to stop into for a pint and a panini while playing cards with friends or trying to master the bimini ring toss (someday, someday….). Always looking to both educate the community about beer and host unique entertainment for their patrons, 300 Suns promises that this event will be both a celebration and an exercise in creativity, featuring an instructor-led painting class, a fire ritual, fun giveaways, and more. Get your tickets online today! 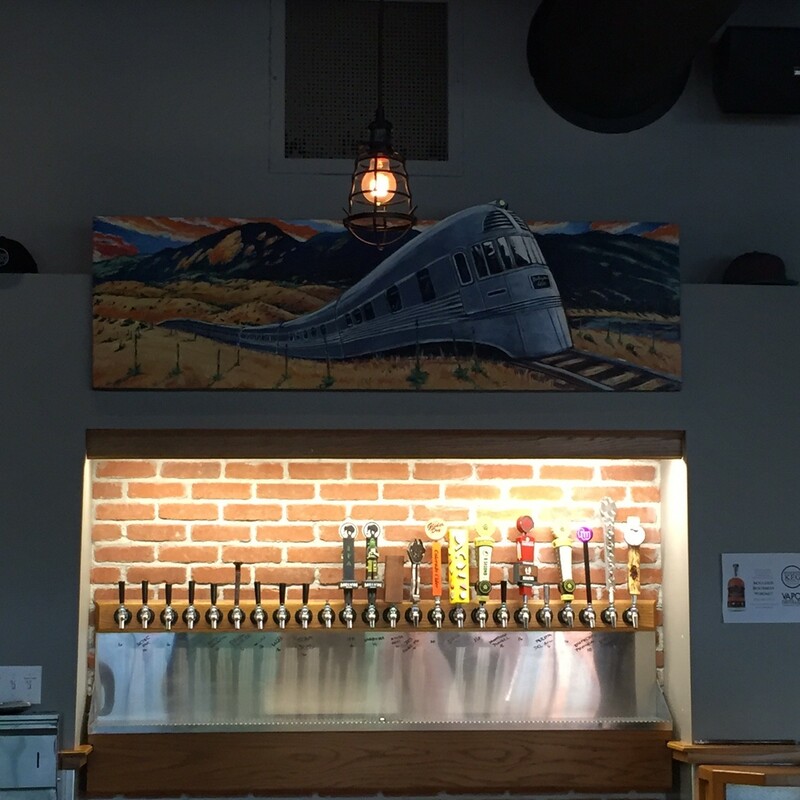 Boulder Beer Company is known as Colorado’s first craft brewery and, since 1979, they have been creating bold beers that have become local favorites and synonymous with the local craft beer scene. Every Tuesday, Boulder Beer Company takes one of their signature beers and gives it a unique little oomph, turning it into something that somehow sounds even more mouth-watering and delicious than the original. This week, Boulder Beer is taking their renowned Sweaty Betty, a blonde hefeweizen, and infusing it with the quintessential summer flavors of strawberries and rhubarb. Simply too enticing and too unique to miss, be sure to stop by for a pint! Boulder County is an innovative and entrepreneurial place both outside and inside its craft beer scene. With Boulder likewise being a college town at heart, there is a huge emphasis on consistently learning from and often clinking glasses with some of the curious and creative citizens we’re lucky enough to call our neighbors. Powder Keg Brewing Company in Niwot fully embraces this sharing of knowledge with their Tuesday Nerd Talks, a community speaker program where members of the community are invited to give presentations on what they are most passionate about. Topics are wildly varying, just like the interests of our fellow Boulderites, and past sessions have ranged from underwater archeology to the physics of sports and much more. This Tuesday, enjoy hearing a presentation on “How Beer Explains the World” with Bart Watson, a prominent member of the Brewers Association and local craft beer community. To learn about all of the events happening at Boulder County craft breweries in the coming week, subscribe to the Beer in Boulder List of Events email, sent out weekly on Thursday mornings, by visiting the Beer in Boulder website here.